Grand Baie is a very popular seaside resort in the Riviere du Rempart area in the north of Mauritius. Not surprisingly there are a number of resorts spread along long stretches of white sandy beaches and a wide variety of facilities offers a range of water sports, from wind surfing, parasailing and sailing. Grand Baie is also home to Mauritius's night life and is reputed to have the best bars and nightclubs on the island. It is also a great place to shop, with a range of shops from modern arcades to more traditional local shops selling clothes, local crafts, jewellery and souvenirs. The Royal Botanic Gardens in Pamplemousses were started in 1735 by Governor Mahe de La Bourdonnais as a vegetable patch for his Mon Plaisir Chateau. In 1768 and in a bid to introduce spices, the grounds were then improved by the French horticulturalist Pierre Poivre. Unfortunately they then fell into neglect until in 1849, British horticulturist James Duncan took them over and they became what they are today. 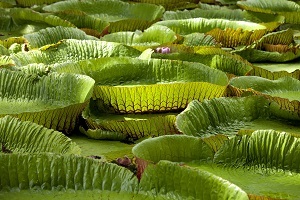 These modest by well kept gardens are a highlight of a visit to Mauritius. Though there are few flowers inside, one key attraction is the park's giant Victoria regia water lilies, native to the Amazon. From the centre of a huge pad, the lily's flower opens white one day and closes red the next. Other attractions include golden bamboo, chewing gum trees, fish poison trees, a 200 year old Buddha tree and a cross tree with leaves shaped like crucifixes. The fragrant flora of the garden, ginger, cinnamon, nutmeg, camphor and sandalwood is also another high point, as are the glimpses of Mauritian wildlife that are all but unavailable elsewhere on the island. Look for enclosures of Java deer and giant tortoises. There is also an art gallery and a cemetery. The sugar factory at Beau Plan Sugar Estate produced sugar for 177 years before finally ceasing production in 1998. The factory building was then converted to L'Aventure du Sucre and is now a popular tourist attraction that gives a real insight into the history of sugar production in Mauritius. Sugar was an incredibly important commodity in Mauritius. It was first introduced to the island in the 1600s by Dutch settlers and then taken over by the French in the early 1800's. The sugar industry by this time was supported by over 60,000 slaves, and remained the case until slavery was abolished by the British in 1835. Because sugar was still the main industry in Mauritius, slaves were replaced with indentured labourers from India. Although still an important commodity since the 1960s and with the increase in mechanisation, there are significantly fewer people now employed in the industry. Your journey through the museum will take you on a path describing the different stages of sugar production, from the early stages of cane cultivation, to the creation of the finished product and the role slavery paid in growing this important crop. As the end of the tour you will be given the opportunity to sample some of the many different varieties of sugar available. And before you leave, don't forget to visit the shop which has a great selection of sugars, sugary treats and local rum. Backed by mountains at the north western end of the island is the capital of Mauritius, Port Louis. Although it is the largest city, it contains a relatively small percentage of the country's total population. During the day, the city bustles, with snarling traffic and honking horns. By contrast, at night, the city is very quiet except for the swish Le Caudan Waterfront area where you will find a casino, cinemas, shops, bars and restaurants. 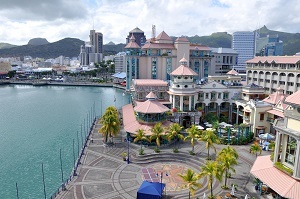 A good place to get a feel for the city is the Port Louis market, near the water in the heart of downtown. With sections devoted to fruits and vegetables, meats and fish, souvenirs, crafts, clothing and spices, be ready to do some bargaining to get the best deals. If you have time, drop into the Natural History museum which contains a selection of stuffed animals, including the Dodo, which has been extinct since the late 17th century. For keen philatelists, there is also the Mauritius Postal Museum. If you are interested in Islamic architecture, stop by Port Louis' oddly located Jummah Mosque, built in the 1850s in the middle of Chinatown, and Fort Adelaide, which so closely resembles a Moorish fortress that local call it the Citadel. Fort Adelaide is the only one of Port Louis' four British forts that is still accessible and not in ruins; the views from its hilltop, harbourside location are great. The Lourdes of the Indian Ocean, Pere Laval's shrine is just north east of the town centre at Ste-Croix. Pere Laval, a Roman Catholic priest, is said to have converted more than 67,000 people during his 23 years on Mauritius and is remembered with a colourful plaster statue atop his tomb. Pilgrims swear by the statue's healing powers and come in their droves to touch it. Tensions were very high following the successful British invasion of Mauritius at the beginning of the 19th Century. The French Colonists who had been on the island for about 100 years didn't take very well to their new overloads and duelling was rife. As a way of trying to calm things and knowing both the British and French enjoyed a love of horses, Colonel Edward Draper decided to open a racing club. A site just outside of Port Louis was chosen and the Champ de Mars was born. The site was originally used for military exercises and drills with the first race taking place in June 1812. It had the desired effect of of calming tensions between the two nations. Its popularity grew and the Champ de Mars turned from a military showground to becoming the first recognised race course in the southern hemisphere. Horse racing is still very popular today with 14 private stables and over 1000 horses on the island. The season runs from March to November with the biggest purse of over 1.5 million Mauritian Rupees. Mauritians flock to the races every Saturday, and those that don't go either watch it on television or listen on the radio. Even if you don't want to bet, a visit to the races is a great day out. Domaine Les Pailles is an old sugar estate in the north of Mauritius between Port Louis and Quatre Bornes. It has now been transformed into a cultural and heritage centre offering tours of the old sugar factory, rum distillery and spice garden. You will have a chance to learn about sugar production and be allowed to taste sugar during the different production stages. You will then be taken on a tour of the rum factory which has been producing rum since 1758, and which you will also get the opportunity to taste. Then head outside where you will be able to enjoy a wander around the spice garden, enjoying the delights and smells of spices such as cinnamon, curry, chillies and pepper to name but a few. The centre also offers visitors the option to see the site on a small railway or by horse drawn carriage. Casela was originally conceived as a bird park. It has since grown from its original 14 hectares to an impressive 4500 hectares and is now home to over 140 species of bird and a wide collection of other animals including, zebra, ostrich, deer, wild boar, and giant tortoises. There are many ways to enjoy the park, from a leisurely walk or if you are feeling more active, why not climb or hike to the top of Mount Tamarin. 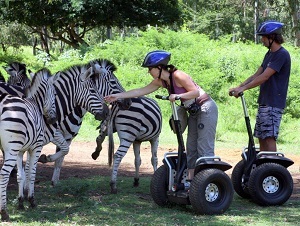 You can also enjoy the park by jeep or quad bike. Or for the brave amongst you and affording great views from on high, you can swing on a rope over the river canyon landing on the water of a mountain river. Opened in 2008 and set in a fertile valley 300 metres above sea level is the Rhumerie de Chamarel (Rum Factory). The sugar cane fields that surround the distillery are used only for the production of Chamarel rums. And because the harvest is all done by hand, the Master Blender is able to select the cane to be used depending on whether it is a white rum or one of the old rums. Your guide will take you through the distillery and aging process and explain how the different types of rum are produced from the different distillation processes. No visit would be complete without a visit to the on site rum shop where you can choose one (or more) of the many rums to take home with you. 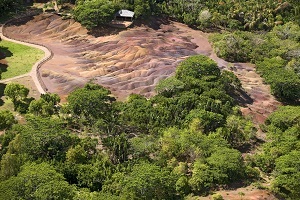 The Seven Coloured Earth is a collection of sand dunes in the Chamarel region of Mauritius. They are a unique geological wonder where you can see seven distinct colours of sand that settle in a way that gives the appearance of stripes. It is also interesting to note that even with the tropical rains that fall in Mauritius, the sands never seem to erode. The approximate colours of the sands are, red, brown, violet, green, blue, purple and yellow. This beautiful highland area south west of Curepipe is unlike anywhere else on the island. About 6km south of Curepipe, you will arrive at the dam wall of the park's large reservoir, Mare aux Vacoas. About 6km south east of Mare aux Vacoas is the sacred lake of the Hindu's Grand Bassin and a few kilometres further east, Plaine Champagne, the rainiest spot and largest natural area on Mauritius. Towards the east end of the plain, the Riviere Noire overlook affords spectacular views of waterfalls and the 830m Piton de la Petite River Noire, the highest point on Mauritius. The best time to visit Black River Gorges National Park is during the flowering season between September and January. Look for the rare tambalacoque or dodo tree, black ebony trees and the exotic birds that perch in them. You may also be lucky enough to run into a band of monkeys, deer or wild pigs. 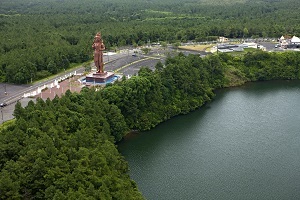 Tucked away in a secluded area deep in the South West region of Mauritius is the Grand Bassin, or Ganga Talao, a crater lake approximately 1800 feet above sea level and the most sacred place for Hindu's in Mauritius. A rich priest called Pandi Sanjibonial had returned from India to Mauritius with a dream of creating a place of pilgrimage for Hindu's to celebrate the main festival of Shiva. He came across the Grand Bassin and decided this would be the perfect place to turn his dream into reality. He set about creating a temple on the banks of the lake and dedicated it to Lord Shiva. He travelled back to India and returned with several artefacts and deities, including a huge Shiva lingam (representation of Shiva) and a Bhairo Baba (a deity in the form of a dog). After the site was consecrated in 1866, Pandi Sanjibonial lead the first pilgrimage to the area. A huge festival followed and large amounts of money, land, cart and oxen were donated to the resident priests. The biggest and most spectacular pilgrimage to the lake takes place towards the end of February, beginning of March where up to 400,00 Hindu devotees travel to the area to celebrate the great night of Lord Shiva. 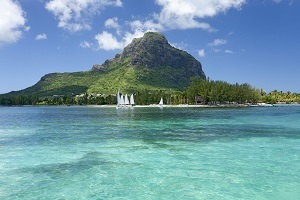 Le Morne Brabant is located on the south west tip of Mauritius. Apart from standing proud at a height of 556 metres above sea level, the mountain is a commemorative landmark of a harsh period of slavery that existed in Mauritius. Le Morne was once a refuge for runaway slaves who built small settlements in the many caves that exist there. Following the abolition of slavery in 1835, an expedition travelled to the mountain to let the slaves know that they were now free. Unfortunately the purpose of the visit was misunderstood and the slaves, fearing the worst they all jumped to their death from the rock. The mountain has remained a poignant reminder and in 2008 became an UNESCO World Heritage Site. Le Morne is now a very popular place for visitors who are attracted by the wide variety of flora and fauna on offer and for those who enjoy walking and hiking, with spectacular views of the island to be seen from the summit. Crocodile Park or to give it its full title, Natural Park of La Vanille Reserve des Mascareignes, is located in the south of Mauritius. The park was opened in 1985 and occupies the valley of a former vanilla growing area. The site is the equivalent of a tropical rain forest with exotic palms, freshwater streams and local flora and fauna. The park is the brainchild of Owen Griffiths, an Australian zoologist and his Mauritian wife who discovered that the area was suitable for the farming of Nile crocodiles. The first crocodiles, one male and four females were imported from Madagascar and their offspring placed in heated indoor nurseries for one year before they were released into ponds. The crocodiles are kept in secure enclosures, according to age, until they reach maturity. 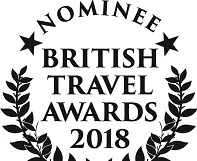 The site also offers a wide variety of other animals, including monkey, deer, giant tortoise, tenrec (from the hedgehog family), rabbits, bats, wild pig and a giant Telfair Skink making it a great tourist attraction. There is also an exhibition room containing specimens of Mascarene reptiles. There is a car park, restaurant/snack bar on site. The area of Saint Felix is reputed to have some of the most beautiful beaches in Southern Mauritius. The long stretches of white sand against a back drop of dense vegetation makes this area a lovely place to wile away the day. Whilst the beaches may offer calm and solace, unfortunately swimming is not advised due to strong ocean currents. Along the coast from Saint Felix is the area of Pointe aux Roches. Full of rugged beaches beautiful to look at but again not safe for swimming. Just off Pointe aux Roches is Baie du Jacotet and the Ilot Sancho. The small island was the site of a skirmish between the British and the French in the early 1800's. The French battery located on the islet was captured with one of the French colonists there taken capture and ransomed in return for supplies. Legend has it that treasure is buried on the island, but to date none has been discovered. Rochester Falls is one of the most popular tourist attractions in Mauritius. They are located in the south of the island and tumble from the Savanne River from a height of about 10m (33 feet). The constant erosion has fashioned the basalt rock into upright columns. The house at St Aubin was originally built in 1819 by the owners of the sugar plantation. The wood used to build the house came from dismantled ships. The main flight of stairs to the first floor was built around a ship's mast. Over the years, the house has undergone many renovations but you can see the beams and ship poles that were originally used. When visiting the house, you will also have the opportunity to see the vanilla plantation that is on the estate and discover how the vanilla orchid is transformed from the flower to the aromatic pod. A little further inland from St Aubin is Bois Cheri, home of the first and biggest tea plantation in Mauritius. It first opened its doors in 1892 and today offers you a chance to learn about the history of tea in Mauritius with a tour of the plantation and factory. The plantation produces a wide variety of teas which you are able to taste, including new varieties of flavoured teas including green teas and herbal teas. A visit to the Blue Bay Marine Park located in the South East corner of Mauritius is a great place to the wide array of Marine life that makes the shores of the island their home. The large lagoon with its clear blue waters and great visibility make it a great place to go snorkelling and enjoy the large collection of corals and wide variety of fish such as the Damselfish, Surgeonfish, Butterfly Fish and large Trumpet Fish. For those who prefer to stay dry but don't want to miss this great experience, glass bottom boats are available. Located on the east coast of Mauritius is the old town of Mahebourg. Originally founded in 1805 it was once the main port in Mauritius. However, after the Dutch left and the French settled, the main port was moved to Port Louis and it reverted to a sleepy coastal fishing village. The town today still retains its sleepy feel, but comes alive on market day with stalls full of spices, tropical fruits and vegetables and a wide array of delicious street food. The town also has a thriving fish industry. The history of Mahebourg and its significance as a naval port is preserved in the Historical Naval Museum where you can learn about the naval battles between the British and French, complete with ancient maps and bells taken from wrecked ships. Just to the north of Mahebourg is Vieux Grand Port where you can view the ruins of the first Dutch fortifications. Away from its naval past, Mahebourg is also home to the oldest biscuit factory in Mauritius - Biscuiterie Rault. The factory still produces biscuits in the traditional way made from flour made from the manioc root and baked in a large wood fire oven. You can enjoy a tour of the factory before having tea and sampling the biscuits in a range of flavours. Located in the Blue Bay Marine Park and just a 5 minute boat ride off the south east coast of Mauritius is the beautiful island of Ile des Deux Cocos. Because of its location in the Marine Park you will be able to take advantage of the clear blue crystal waters ideal for swimming and snorkelling and viewing the wide variety of marine life there. Take time to explore the rich vegetation on the island by taking one of the many walking trails. Hidden amongst the trees you will find a villa once owned by one of the first British Governors on Mauritius, Sir Hesketh Bell. The villa is a beautiful mix of British and Moorish architectural styles, with the interior based on Mauritian influences. If all that sounds far to energetic, then you can always just find a spare palm tree and relax on the white sandy beach and enjoy the great views. Just a 10 minute boat ride off the east coast of Mauritius is the small coral island of Ile Aux Aigrettes. This 25 hectare nature conservation site is home to a wide variety of original Mauritian nature, including the rare endemic ebony tree species. Rare animals include the pink pigeon, the Mauritius Kestrel, endangered skinks and of course not forgetting the giant tortoises. It is worth noting that all revenues received from the tours and from the onsite gift shop are reinvested to be used for the continued preservation of the island. Located in the east of Mauritius Domaine De L'Etoile is a large private natural reserve and working sugar plantation covering an area of well over 1200 hectares. This is certainly a place where you can spend your time doing a range of activities, from walking and hiking, mountain biking, quad biking to horseback riding. Whichever one you choose to explore on, take your time to enjoy the wide variety of natural forests, crystal clear rivers and the wide range of flora and fauna the park has to offer. And don't forget to spend some time in the plantation fields where you can still watch people harvesting the sugar cane by hand. The reserve also offers other activities such as zip lining, archery and has its own dedicated kid's village. Trou aux Cerfs is a dormant (but not extinct) volcano located in the centre of Mauritius near the town of Curepipe. The crater is approximately 605m above sea level, with dense vegetation surrounding its diameter of 300m. The lake is said to be 100m deep. The crater is a popular place for walkers and joggers and offers great panoramic views from the top. 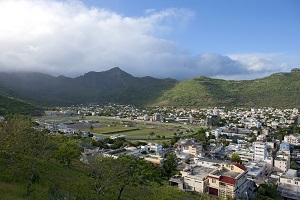 The town of Phoenix is the home of the Mauritius Glass Company. Enjoy a trip to the Gallery where you can watch skilled craftsmen utilising recycled glass bringing them back to life using traditional glass blowing techniques. For those looking for an interesting memento to bring home, there is an opportunity to purchase unique pieces in all different shapes and colours, and all made from 100% recycled glass.